Comments: Fast growing hardy tropical has large ornamental foliage. 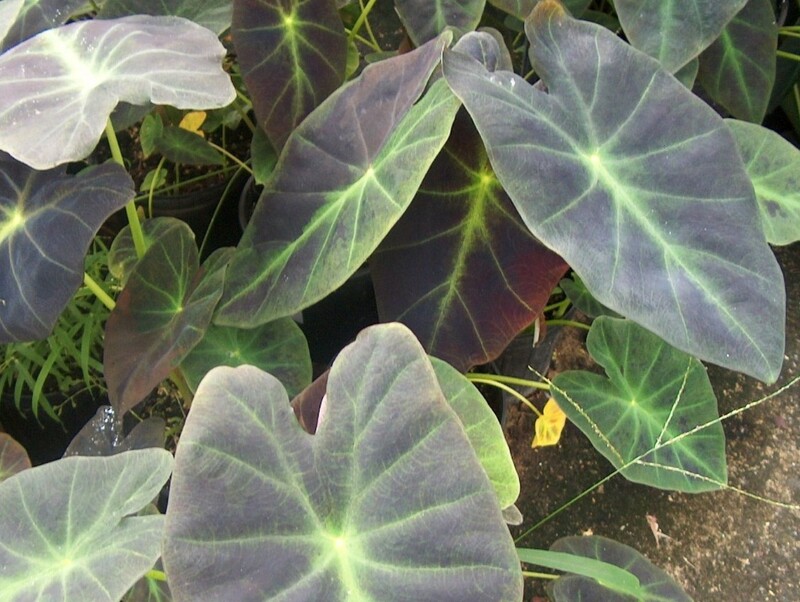 The leaves are green with purple coloration between the green veins. Adds color and contrast to the landscape. Makes an excellent plant for container culture. Spread is easily controlled.